Quantum Atlas II Atlas 2. 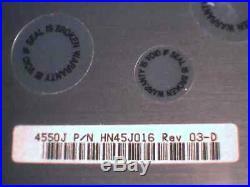 4550J HN45J016 Rev 03-D HN45J477 Rev 03-F CLYJ0. 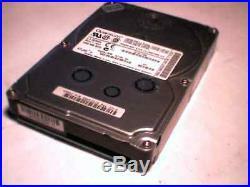 4550MB 4.5GB SCSI Hard Drive 3.5 80-pin SCA Ultra Wide SCSI 7200 RPM PCB: 2011567001 7xxx HA1. Just the drive, no cables, no documents, no software. Canadian buyers must pay GST/HST so it is helpful if Canadians wait for an invoice before paying. Do not ask us to misrepresent the value of an item. 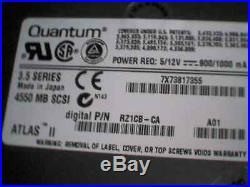 The item "Hard Drive Quantum 4550J HN45J016 Rev 03-D DEC RZ1CB-CA 4550 MB SCSI 80-pin SCA" is in sale since Saturday, November 15, 2014. 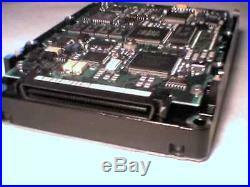 This item is in the category "Computers/Tablets & Networking\Vintage Computing\Vintage Parts & Accessories". 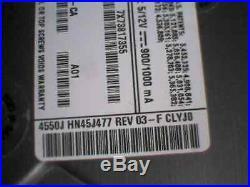 The seller is "wiredforservice" and is located in Ontario. This item can be shipped worldwide.